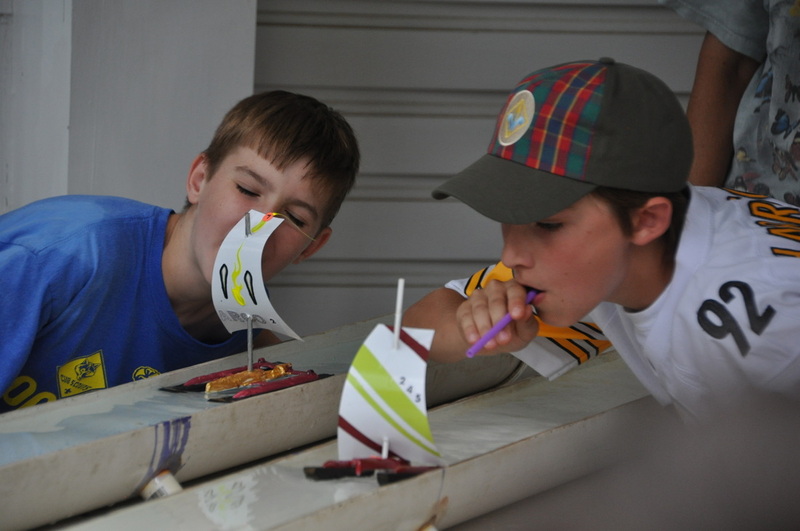 Every spring – usually a Saturday in late April or early May – brings with it the exciting Raingutter Regatta! 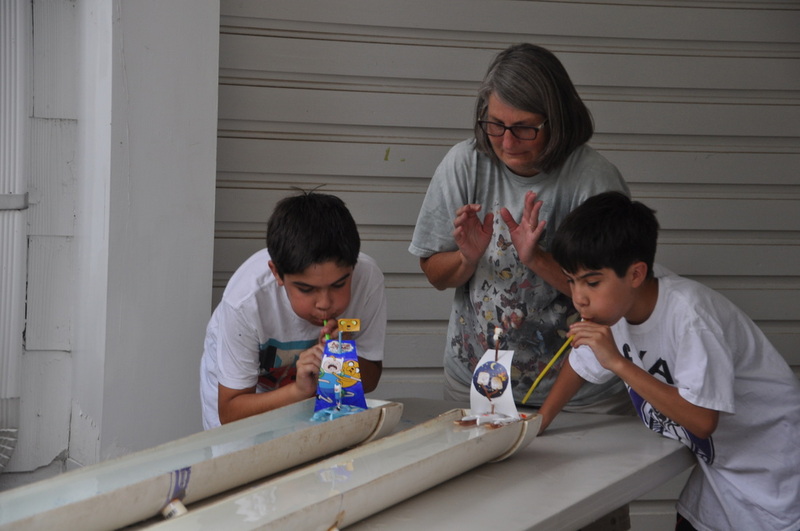 Cub Scouts race trimaran boats built from Cub Scout kits and decorated in fun and innovative ways. The Pack also makes the day a huge party, with a rolling barbeque, a pie-eating (or throwing) contest, and a water-nerf battle! The race is held at Vale Church in heats throughout the afternoon. A schedule is published in advance so each den knows when they are scheduled to compete. Two raingutters are set up side by side, and at the sound of the start of the race, two boys at a time propel their boat down the gutter by blowing into its sail using a drinking straw. The first boat to the end of the raingutter is the winner of the heat. After successive heats are held, elimination rounds determine the fastest boat for each Cub Scout rank. Awards are also given to the most imaginative boat decoration. Captains must register their boats with the Port Authority before racing. Check-in of boats begins a half hour before race time. The most important values in Raingutter Regatta competition are parent/son participation and good sportsmanship. The Raingutter Regatta Commodore, with assistance from Pack Akelas, is responsible for recognizing and encouraging these qualities in addition to traditional racing awards.